As the old saying goes “if there is a will, there is a way”. The information is out there. The work ethic and discipline is in all of us if you simply decide to make the dedication to become healthier; for your children, family and most importantly for yourself. Assuming you want to be a healthier version of yourself and you’re ready to take that step forward, the goal with this article is to give some solid suggestions along with a few links to get you moving in the right direction. Decide and dedicate to drinking ONLY plain, purified water. Make it accessible and have plenty of it around you. Try to cut back fast foods, and instead take or prep your lunch yourself making it at “colorful” as possible with real food. It is okay to fail a little at this, for now. Incorporate a high quality multi vitamin. Life Extension is a good one to consider. Take a “before” photo of yourself today in month #1. Go to your PCP (or on your own) to get blood work and a physical done. Get a look at your basic health markers and some of the more relevant endocrine markers related to your hormone picture. Be safe and assured you have the green light on how to pursue physical activity. See me if you need suggestions on this. Hire a qualified personal trainer. This is a good resource to find one: Find a Qualified Trainer Near You. Educate yourself in your spare time on the detrimental effects of carbohydrate and sugar abuse. Start weening yourself off excessive amounts. This primarily will be taken care of by avoiding boxed, bagged and bottled foods and drinks (the drinks should already be taken care of in month #1). Explore this website as it blends with #2 above: fmtv.com This is a wonderfull and educational site loaded with recipes, education and documentaries to help you learn all the essentials on eating and treating your body right and the way it wants and deserves to be treated. Re-test your bloodwork. You should start to see some improvements in cholesterol, blood pressure, glucose and more. You should also be getting excited about losing a few pounds and some clothes starting to fit looser now. You’re on your way. Commit to a competition of sorts, suitable to your abilities. This can be a 5k race in near future, climbing a challenging mountain on that summer vacation coming up or training for a powerlifting competition in 6 months. Whatever your “cup of tea” is, get competitive and continue to fuel your inner drive on your quest to be your best. Throughout life, we all have many choices as to where we choose to invest our time, money and energies into. 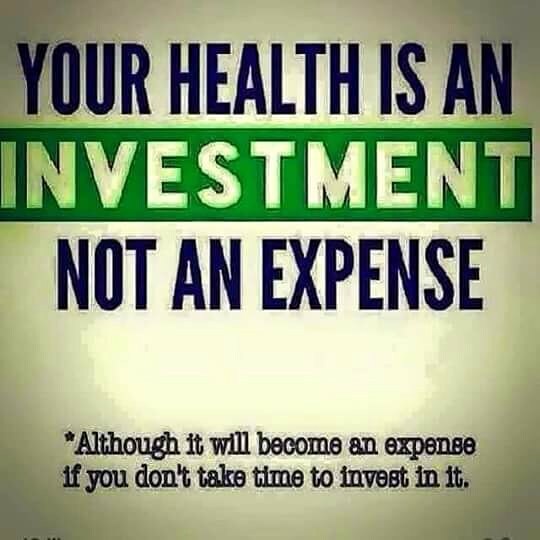 I personally don’t think there is anything more worthy of attention and investment than our health. The way I see it, too many of us neglect the one thing that enables us to take care of our families, contribute to the world and live the most fulfilling lives possible; This is our body. We disrespect the gift of life that we have been given by smoking, eating unnatural “franken-foods” and expose ourselves on a regular basis (often by choice) to carcinogenic and toxic things that beats and wears our bodies down. We often claim we don’t have the time to exercise, the money to eat right and correct imbalances that are brewing inside. Those who don’t end up making time today must must address illness, doctor bills (and added stress from), and deal with a miserable quality of life tomorrow that is often a burden onto those they love or may depend on them. Although it is unfortunately true we aren’t taught well by the educational system on how to eat right or take care of ourselves, there is information out there on how to do so correctly if we look, ask, listen, learn and apply correctly. Invest wisely my friends, we are given one body to live in. Make it an enjoyable one!